Let’s face it, car insurance quotes are the last thing on anyone’s minds until the bill shows up with next year’s policy premium. For quite a few people, car insurance and car insurance quotes are not a big deal because they had a great year with no accidents, no speeding tickets, and no claims. But perhaps for you or someone else in your household, something happened and the “premium sticker shock” was…well, quite a shock. And that’s why so many people start looking for new car insurance and start getting car insurance quotes for Connecticut drivers. Throw in the fact that some insurance companies simply raise their rates in a given area because of a high number of claims or an increase in the risky driving behavior of others. That can feel just plain unfair. No wonder you start thinking about getting car insurance quotes. 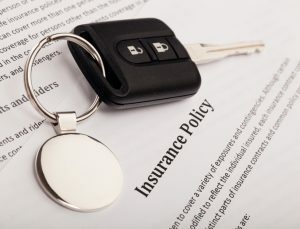 We at the Keating Agency Insurance know this and because we are an independent agency, we have over 20 auto insurance companies we can do your car insurance quotes with. This means we can discover the best insurance coverage options for you and your family while finding the absolute best value and getting the best car insurance quotes for your unique insurance needs. We know the car insurance industry inside and out. We’re in constant contact with all our car insurance company partners, so that when we recommend the best car insurance quotes for you, you can rest easy knowing that our nearly 50 years of industry expertise went into it. Our goal is to make you a lifelong client of Keating Agency Insurance which means giving you the best choices and the best car insurance quotes at the best value at all times. Please contact us today so we can get started on your personal car insurance quotes today!